Most guests are used to the dreaded cold cut sandwich tray or the endless stacks of pizza boxes. While those options get all of the guests fed, they don’t provide much of an experience. Most food trucks in Toronto take a lot of time and effort to make their food trucks look amazing. It provides a fun opportunity for guests to take pictures and get the full food truck experience. Its also fun to watch the food being made right in front of your eyes! 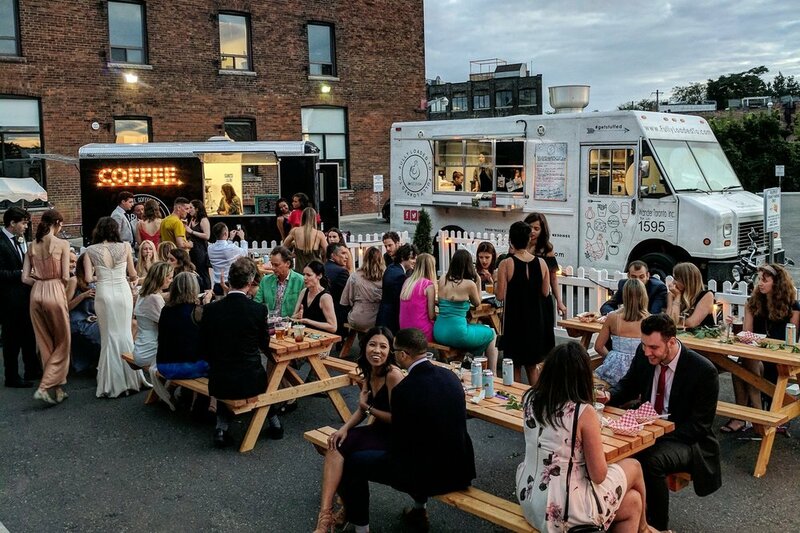 A food truck can run at almost any venue or event with enough space to park. You don’t need to worry about having a kitchen at the venue or cleaning up afterwards. Food trucks will take care of everything including staff, food trays, napkins, utensils, and waste removal. That means that clients don’t need to worry about anything except finding space for the truck to park. The best food trucks always specialize in a certain type of food. But they can always offer enough variety to satisfy the biggest crowds. You can speak to food trucks about offering options such as Halal, Vegetarian, Vegan, and Gluten-free. This is one of the biggest advantages of hiring a food truck for your next event. Most food truck caterers charge $15-$20 or less per person, which is a lot cheaper than traditional catering companies. The rates always depend on the popularity of the truck, the quality of the food, and staff required. This means most budget for a beer cart or ice cream truck! As mentioned above, food trucks are no longer associated with cheap, low-quality food. They can consistently put out food with the same quality as a restaurant or traditional caterer. They have fully inspected, equipped commercial kitchens that are run by passionate food truck owners. If you want to get more information about our catering services, please contact us here!